Experts at Delhi-based non-profit, Centre for Science and Environment, have slammed the Intended Nationally Determined Contributions (INDCs) of the United States, saying they are “neither fair nor ambitious, and (are) way short of what is needed to keep global warming under 2°C”. They say the country’s climate action plan, submitted months before a new climate deal is negotiated in Paris this year, is only a reiteration of its earlier pledge made in November 2014. In its mitigation-centric INDC, the US has committed to cutting greenhouse gases by 26-28 per cent by 2025 against the 2005 level. This means that greenhouse gas (GHG) emissions of the US in 2025 will be 5 billion tonnes of carbon dioxide equivalent (CO2e). 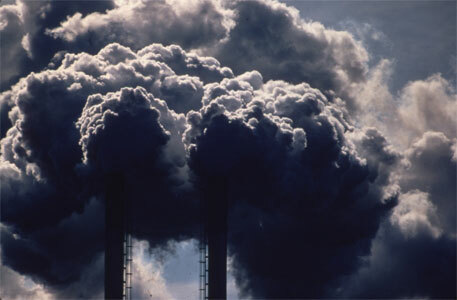 Its per capita emissions would be 14 tonnes CO2e in 2025. In comparison, in 2025, India’s total emissions will be about 4 billion tonnes. CSE says the INDC doesn’t detail how the target is going to be achieved. While it does mention policies and acts such as Clean Air Act, Energy Policy Act, and Energy Independence and Security Act, it has no data on sector-wise emissions, says CSE’s official press release. The baseline target of 2005 is arbitrary and masks the inadequacy of the US target. The 26-28 per cent reduction over 2005 amounts to just 15-17 per cent over the 1990 levels. In comparison, the European Union will reduce its emissions by at least 40 per cent (by 2030)—more than double that of the US. All estimates show that to meet the 2°C target, US emissions should be at least 50-60 per cent below 1990 levels considering its historical responsibility of causing climate change and its present capability of solving it. The US target involves all greenhouse gases as well as offsets from CO2 absorption from sinks such as forests and land use changes. This implies that the actual reduction of emissions will in fact be much less than the 26-28 per cent reduction. There is no reference in the INDC to how the US plans to fund its pledge of US $3 billion to the Green Climate Fund. The fund to support the climate change plans of developing countries has received less than 1 per cent of the promises made till date. “The shoddy efforts to cut corners on the part of countries historically responsible for and with the maximum capacity and resources to deal with climate change only mean that it is certain that the world will go over the 2°C target. Thanks to countries like the US, the world would be forced to gear up for more catastrophic and irreversible climate change impacts,” says Chandra Bhushan, deputy director general, CSE. CSE also says the US’ commitments lack support domestically and the Republicans are strongly opposed to policies and Acts for climate change; particularly the rules on curbing pollution from power plants and federal policy on renewable energy. Opposition groups believe that there is high chance that such initiatives may not last beyond the Obama presidency period, the CSE release says. Republicans and industry groups are fighting in court against proposed US Environmental Protection Agency power plant regulations. They are also urging states not to comply with these regulations.